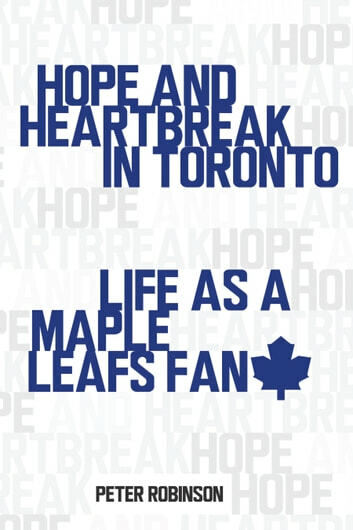 False hope, hollow promises, and a mind-numbing lack of success - these words describe the Toronto Maple Leafs and the hockey club's inexplicable mediocrity over much of the past decade. Author Peter Robinson has attended some 100 games over the past six seasons and has little to show for it except an unquenched thirst that keeps him coming back. Why does a team that hasn't won a Stanley Cup since 1967, long before many of its followers were even born, have such a hold on its fans? Robinson tries to answer that question and more while detailing what it's like to love one of the most unlovable teams in all of professional sports. 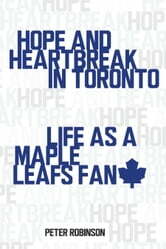 Being a Leafs fan requires a leap of faith every year, girding against inevitable disappointment. This book tells what that's like, how it got to be that way, and what the future holds for all who worship the Blue and White.